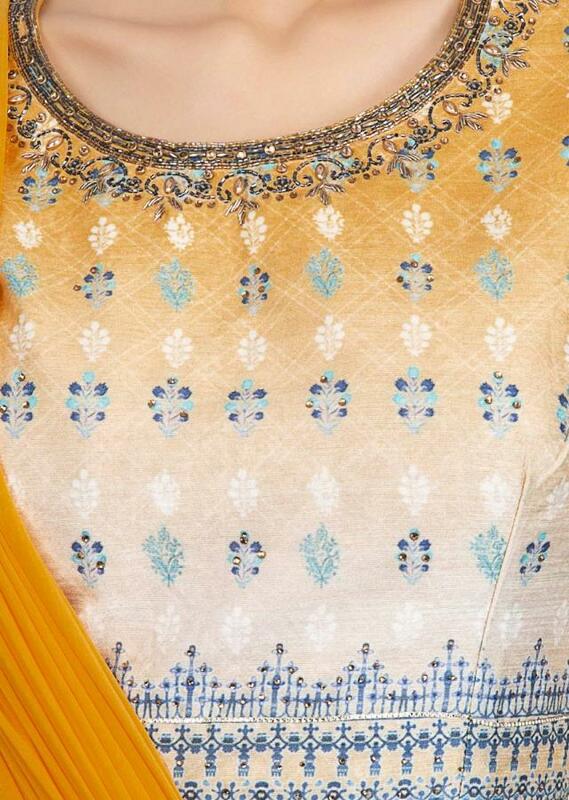 Chrome yellow and off white shaded cotton lehenga . Adorn in floral printed butti along with kundan highlight. It comes with a matching crop top blouse in printed butti, having a jewel embroidered neckline. Further enhanced its look with a pre stitched ready pleated lycra dupatta .